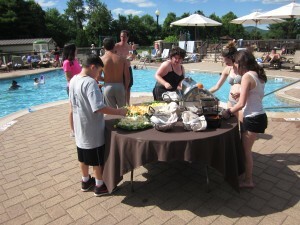 Join us every Monday and Thursday from 4pm – 5pm thru Labor Day for our Manager’s Receptions! Complimentary Beer, Wine, Rum Punch, Lemonade and Soda accompanied by a selection of Hor’s D’Oeuvres! 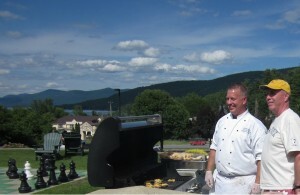 Our Chef Mike Squires joined us by the pool to grill up some cheeseburger sliders….